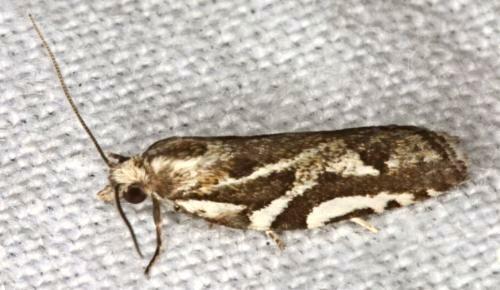 This adult moth has forewings that are dark brown, with bold white markings on each forewing. The hindwings are grey. The wingspan is about 2 cms. The genus of this moth is currently under review. Volume 35 (1910), p. 246, No. 198.